BCP Veterinary Pharmacy has had great success with increased compliance through its compounding of PLO transdermal gels. 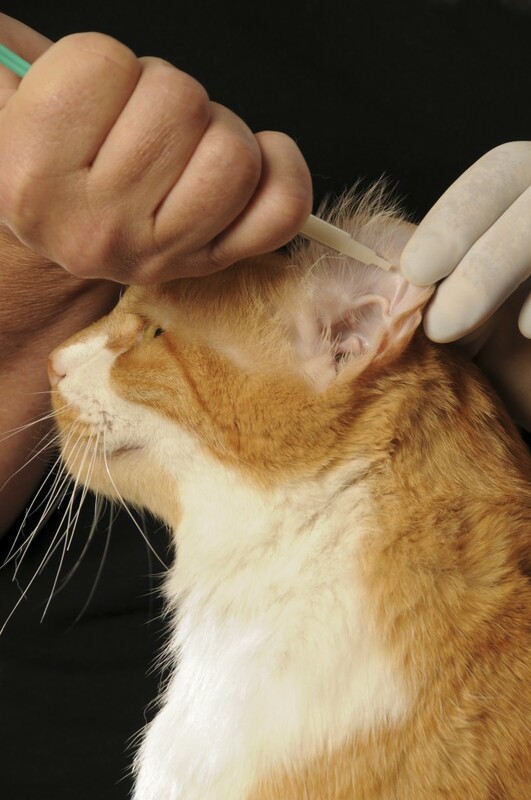 By using PLO transdermal technology, BCP Veterinary Pharmacy is able to custom compound numerous drugs that, when applied to the pinna (inside ear flap), provide for the penetration of the drug, in therapeutic amounts, through the skin into systemic circulation. The Pluronic F127, a component of PLO gels, is a polymeric surfactant which enhances the formation of drug micelles in a gel matrix. Pluronic gels have been shown to regulate the release and permeation of numerous drugs through the skin. Lecithin acts as a permeation enhancer by increasing the fluidity of the stratum corneum and, therefore, also increases the penetration of many drugs through the skin. By compounding medications into a gel, using these two components, BCP Veterinary Pharmacy has treated numerous patients suffering from chronic ailments such as heart disease, high blood pressure, inflammatory bowel disease, urinary incontinence, hyperthyroidism, behavioral problems and bacterial infections. If you have an animal that is difficult to medicate orally, transdermal gel may be the alternative you have been searching for. Transdermal gels may be used as an alternative to oral therapy in many cases. The efficacy of transdermal methimazole in the treatment of 16 cats with hyperthyroidism was evaluated in a study that was reported in the International Journal of Pharmaceutical Compounding, Vol.6 No.5, September/October 2002. The results indicate that transdermal methimazole is effective in reducing the serum T4 level in hyperthyroid cats. In addition, a lack of adverse side effects, an increase in client satisfaction and increased compliance were among the benefits cited. 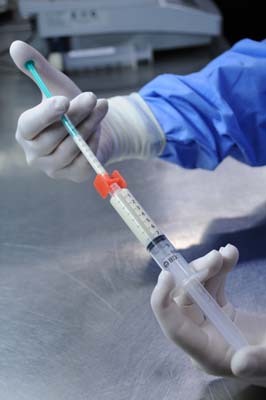 Transdermal gels are packaged in syringes to make it easy to administer and dispense proper dosages. The animal’s dose is put into the smallest amount of gel possible, usually 0.1ml. The transdermal gel is applied to the animal’s inner pinna. Please advise your clients to wear exam gloves or finger cots, apply each dose to the alternate ear, and wipe away any visible residue prior to the next dosage. Storage: Store in a dry place at room temperature. Store away from heat, direct sunlight, and extreme cold. Administration: Topically. Apply to the skin with the least amount of hair on the inside of the animal’s ears. Do not apply in the ear canal. Precautions: Wear exam gloves or a finger cot and wash hands immediately after each dose. Do not allow medication to get too cold, as it will separate. PLO gels may separate during shipment in cold climates, and require re-mixing. Keep out of reach of pets and children. How to Order: All orders are per prescription. The veterinarian must call, fax or mail a prescription to BCP Veterinary Pharmacy. Shipping: Transdermal Gels are shipped overnight either to the veterinarian or directly to the pet owner.